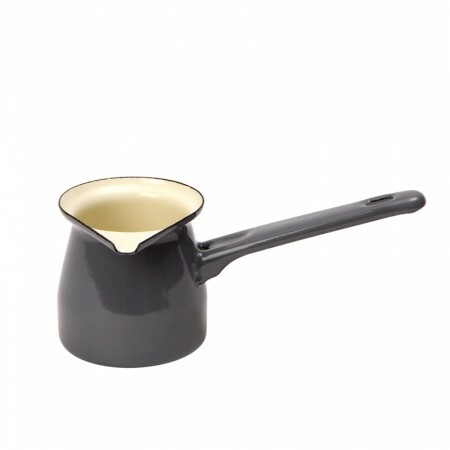 Allowing you to make delicious sauces, warming gravy to frothy milk to go on your coffee, the Vintage Home sauce jug in slate grey is an attractive choice for adding a touch of retro glamour to any household. An ideal accessory for those that are needing a practical and handy tool without taking up too much of important storage space. From warming milk on the hob to being placed into the oven, the Vintage Home range is incredibly versatile. Dishwasher, oven and hob safe, the Vintage range can be used on all hob types. Along with being practical and versatile, the Vintage range is also made from the finest enamel and is renowned for being long-lasting and durable. Made from the highest hand-enamelled enamel, the sauce jug has been fired up to 800C and promises to be chip, scratch, stain and stick proof. For anyone that is needing a reliable and trusted sauce jug that can live up to the expectations required every day in kitchens across the country, then the Vintage home sauce jug is a top choice. Blending appearance with practicality, performance is never sacrificed with the Vintage range. 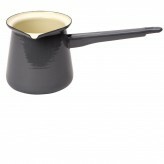 Retro-style jug in slate grey from the Vintage collection is perfect for individual servings of gravy or hot milk/cream.